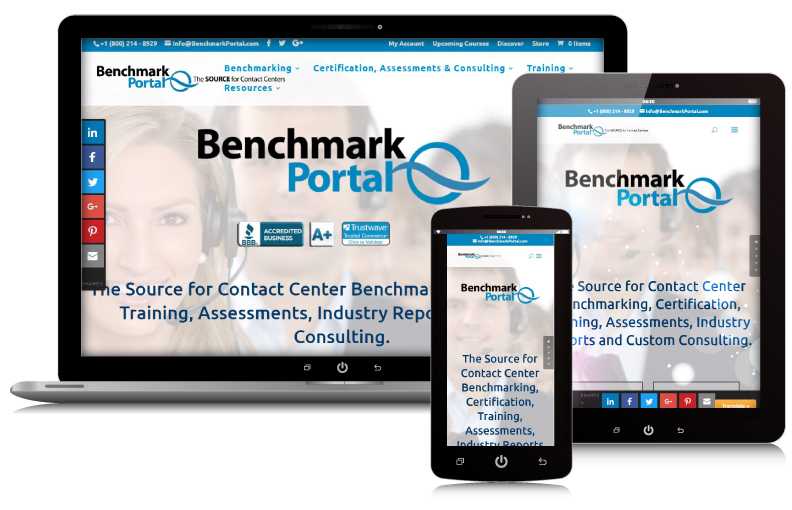 Since its beginnings in 1995 under Dr. Jon Anton of Purdue University, BenchmarkPortal has grown with the contact center industry and hosts the world’s largest call center metrics database. Now led by Bruce Belfiore, the BenchmarkPortal team of professionals has gained International recognition for its call center expertise and innovative approaches to Best Practices. In 2004, BenchmarkPortal approached WebRock Design to develop a professional online presence to build credibility and attract their target audience – Fortune 500 companies. Within a short time, BenchmarkPortal.com became the ‘go to’ source for the call center industry. The search engine optimization WebRock built into the website has been instrumental in this success; and continues to draw in new customers, increase online traffic and meet their business goals.